The ASI Warrior Merchandise store is now located at the ASI & USU Front Desk in Housing Suite 122. We are committed to offering you the latest trends in both apparel & merchandise at affordable prices. Stock up on gear, look cool, and show off your Warrior Pride! 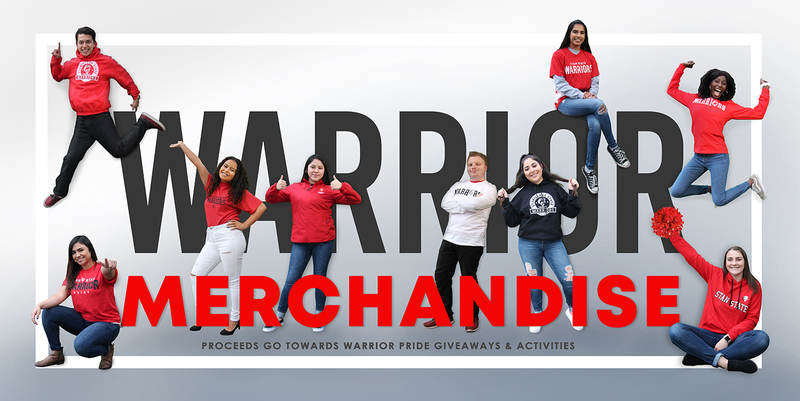 All proceeds from ASI Warrior Merchandise go towards Warrior Pride giveaways and activities! Make sure to stay connected and follow us on social media to hear about new merchandise, sales, and upcoming Pop-Up Shops!